Zofran (ondansetron) was developed by GlaxoSmithKline to treat nausea and vomiting in chemotherapy, radiation therapy, and surgery patients. The drug gained FDA approval in 1991, with generic versions released in 2006. Zofran acts on the nervous system to block serotonin and increase gastric emptying. One of the serious possible side effects listed on the drug label is Serotonin Syndrome, a potentially life-threatening drug reaction that can cause cognitive changes, as well as rapid heart rate, high blood pressure, diarrhea, and loss of muscle coordination. Despite FDA warnings about increased risks for abnormal heart rhythms, including the potentially fatal Torsades de Pointes, in people taking Zofran, some doctors have prescribed the drug to pregnant women for morning sickness – even though the FDA has never approved Zofran for this use. It is believed that roughly 1 million pregnant women are exposed to Zofran each year, even though morning sickness is considered an “off-label” use for the drug. The FDA categorizes the drug as a “Pregnancy Category B” medication, which means that animal studies have not shown a risk worthy of a warning label – yet, there is also no evidence that it is safe for unborn babies either. So far, conflicting studies have been published with regard to Zofran pregnancy risks. 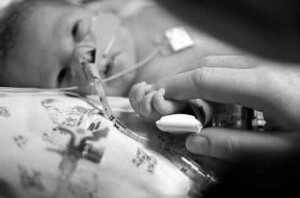 A February 2013 study published in the New England Journal of Medicine claimed there was no association between Zofran and birth defects based on data from a Danish registry. However, a larger review of the same registry found a 30 percent increased risk of congenital birth defects associated with Zofran. Of the 1,248 women who used Zofran in their first trimester, 4.7 percent had a baby with a birth defect (compared to 3.5 percent of women who did not use the drug). The risk for heart defects for Zofran was two-fold, according to lead researcher Dr. Gideon Koren, whose research appeared in the December 2014 issue of American Journal of Obstetrics and Gynecology. In March 2014, the U.S. Food and Drug Administration stated that they were “continuing to evaluate” Serotonin 5-HT3 receptor antagonist products like Zofran, Aloxi, Kytril, and Zuplenz “to determine the need for any regulatory action” due to a number of Serotonin Syndrome reports submitted to their database from January – March 2013. Many families who believe they were adversely affected by the use of Zofran during pregnancy are taking the company to court to compensate for tangible expenses including past, present, and future medical expenses, as well as intangibles like emotional suffering, loss of enjoyment of life due to disability, and loss of future income potential. In one case, a Massachusetts woman says her daughter has undergone 10 surgeries to correct a host of issues like atrial septal defect, right ventricular hypertension and aortic arch hypoplasia – which she believed directly resulted from her use of Zofran in the first trimester of her pregnancy. The child was also diagnosed with low-set ears, hearing loss, facial dysmorphia, light sensitivity, and webbed toes. The lawsuit alleges that the manufacturer knew of the risks for pregnant women but willfully concealed the data. In 2012, GlaxoSmithKline paid $3 billion in settlement monies to resolve criminal and civil charges brought by the U.S. Department of Justice. Promotion of off-label use and paying kickbacks to doctors who prescribed Zofran and other drugs were among the civil violations alleged by the DOJ. The complaint stated that the company “made and/or disseminated unsubstantiated and false representations about the safety and efficacy of Zofran” and “paid illegal remuneration to health care professionals.” Despite the settlement, GSK has always denied liability regarding all allegations. The courts require more proof than a Zofran prescription during pregnancy and medical confirmation of a congenital birth defect to award compensation. In most cases, the precise cause of birth defects remains unknown. Birth defects may be caused by a number of factors, including genetics, exposure to environmental toxins, other medications or supplements, alcohol, maternal illness, maternal age, unmanaged diabetes, and poor nutrition. Therefore, it is important to find an experienced lawyer specializing in medical cases to go up against a giant like GlaxoSmithKline. A legal team can assist in obtaining credible medical witnesses to give testimony, crafting a convincing argument to rule out other causal factors, and assembling documentation potentially proving that the manufacturer knew of the risks to pregnant women but continued to promote the drug to this cohort anyway. If the caseload is large enough, Zofran lawsuits could one dayvbe grouped together in a mass tort or federal MDL (multi-district litigation) against GlaxoSmithKline. Though litigation can be a lengthy process, people who are considering filing suit are encouraged to do so immediately, as each state has a statute of limitations for initiating personal injury claims. In some states, plaintiffs must file within two years of injury, for example. Compensation from the courts can help families move on without financial worry and punish corporations that put profit before safety. Zofran attorneys across the country are currently reviewing cases for potential litigation.